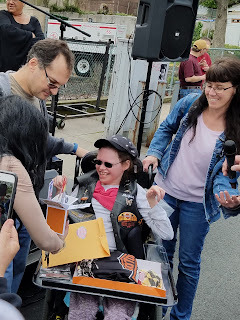 wishes for a speedy recovery for a special person..
Today Staten Island HOG made Megan a member of their Staten Island chapter of the Harley Davidson Owner's Group. 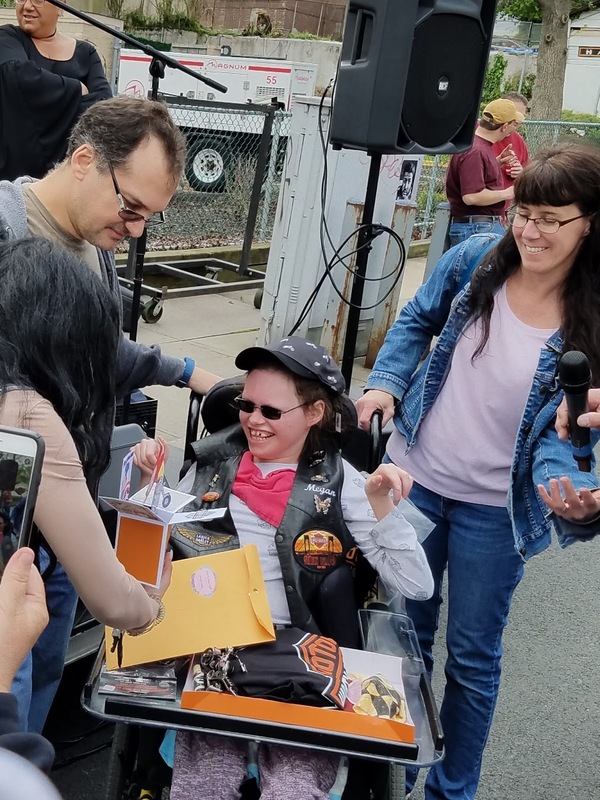 This honor was bestowed upon Megan by some of the most generous Staten Islanders who support so many charities, honor our Veteran's, have each others backs and truly are wonderful people. Megan was so happy- she thought she was there to give them her homemade box card- made with the Cricut Explore. 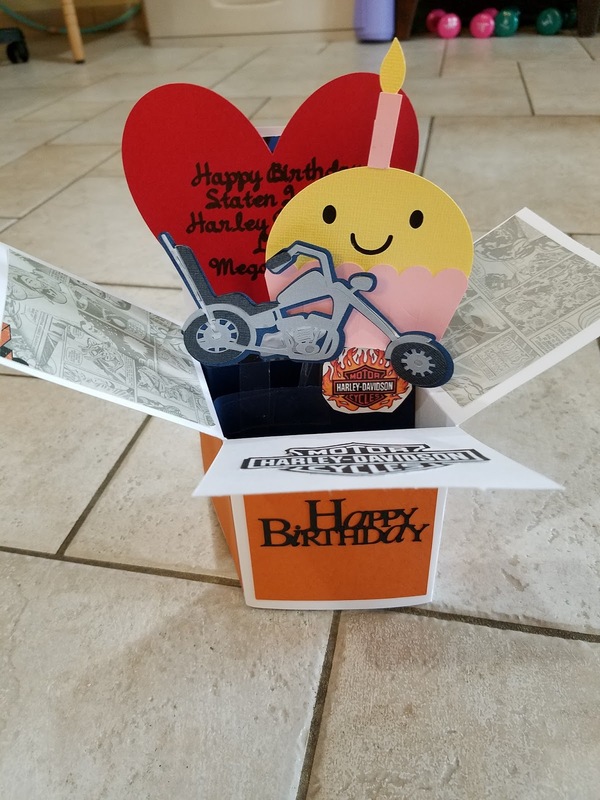 Thank you for including Megan among your family! 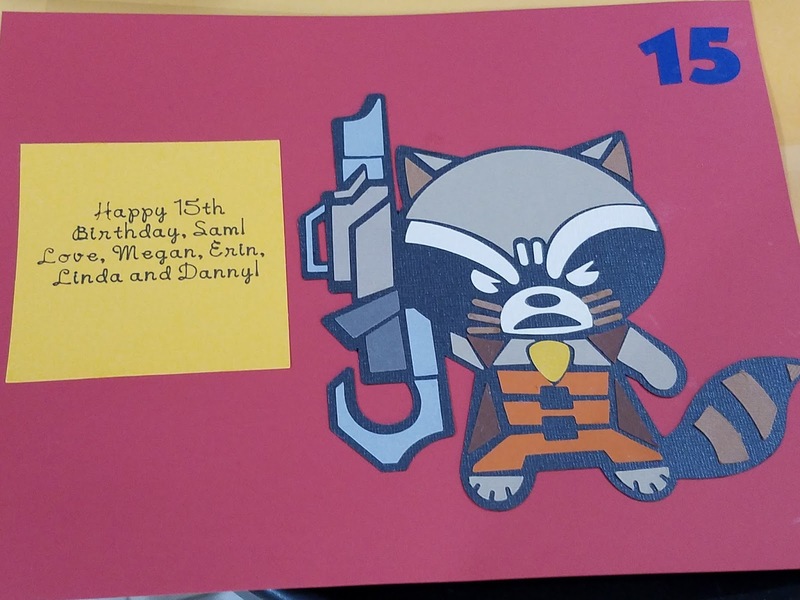 Megan enjoyed using the new digital images available on Cricut Design Space- so many images to choose from- new from Marvel- there are a lot more cards to be made! 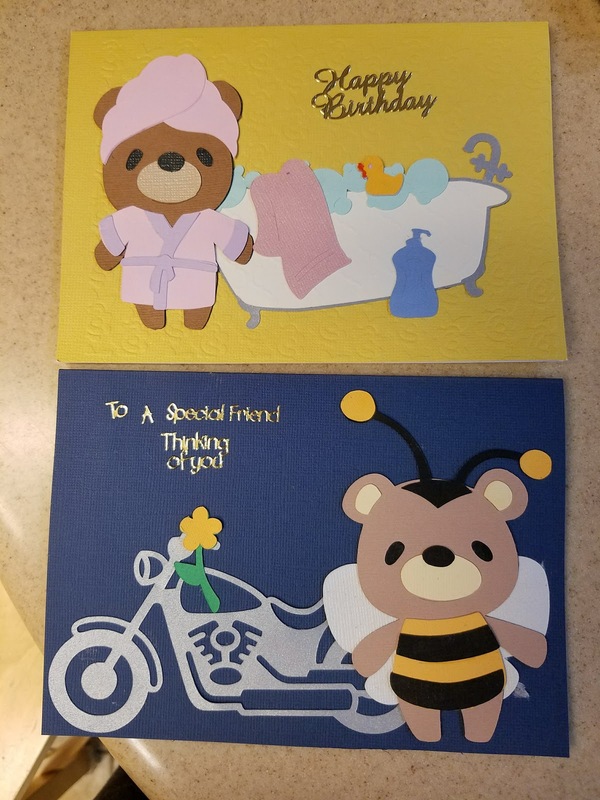 The Cricut Explore made it so easy. 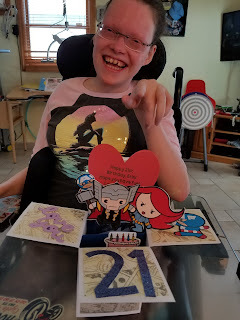 The birthday box card below was for her sister, Erin, and had Captain America, Black Widow and Thor. The card above is Rocket Racoon. 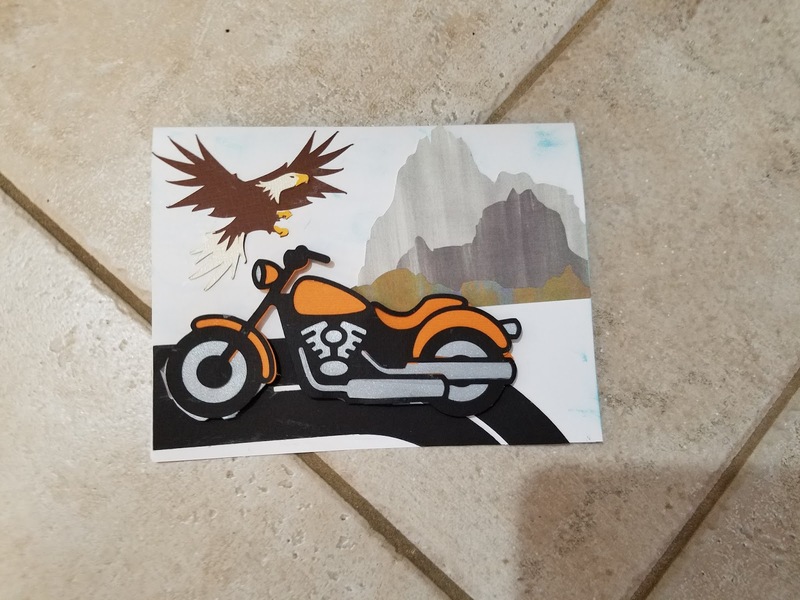 Both were made by duplicating the image, flattening one and picking out layers to put on top of the flattened one to make it dimensional. Megan used the Cricut to cut the cards and the heat transfer vinyl for the shirts.